I feel a little more on track with my knitting. reason I needed that planning retreat. down and knit without feeling guilty about not getting the *other stuff* done. now, but also I think it will be a nice knit to have. it for me, but I have a feeling we will be sharing it. First, I am looking at seed catalogs. in the dreaming and planning stages now – heavy on the dreaming. am excited to do some more research on it. And finally an old book, Affluenza (there is a new version out now, but the one I linked is the book I have). have been thinking about more recently. so much, it is so easy to get, and it is fun. a time of slowly letting that original purpose of a different path slip. good book that I am looking forward to digging into again. Previous Post: « What is a Planning Retreat and Why do I Need One? That cowl is lovely! Not only the yarn, but the stitching is yummy too ? One of these days I'll learn how to be crafty! That sure sounds like a lot of fun. I wish I knew how to knit! Reading I have done way more than knitting. I did try to knit once, though. It wasn't nearly as good as what you have done. I am more of a crochet person. I learned how to knit when I was a little girl from my grandma. 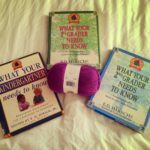 I loved learning from her and now I make a knitted baby blanket for all my kids. 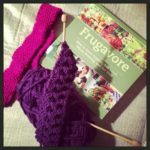 I want to learn how to knit but I am a very hands on/visual person so I need someone to actually show me in person. 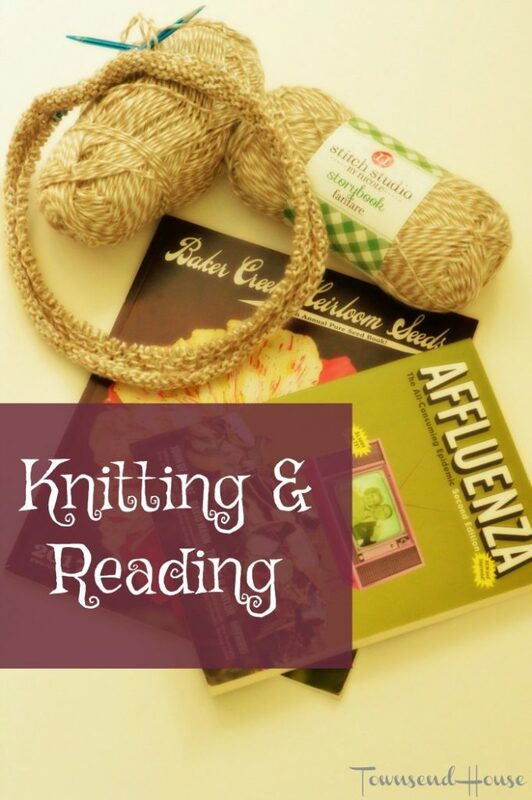 I don't knit or read…but really want to start enjoying both. This sounds like a great way to take some me time. Sounds like a great weekend! I can't knit for the life of me, kudos to you! isn't this weather bizarre? I swear we will be bundled up in a week. Yesterday was a high of 72! I love your cowl and how they are asking if it's for them, so sweet. It sounds like you had a good weekend and the cowl is pretty! I wish I could knit. I've tried a couple of times and never finish up. I swear I wish I had the patience to knit. Fun thing on the horizon this week for me will be trying a new Ramen spot in town, going to see a fun scary movie and going to a Hollywood movie themed event! I've read affluenza, it's a great book and documentary. Seriously been thinking a lot about the sheer amount of stuff we own in today's society. It's crippling. Oh I love the stitch you are using here! The yarn is a nice color too! I never really learned how to knit but it looks like a great way to relax. I need to learn one of these days! Good luck with the cowl, your yarn is just gorgeous! 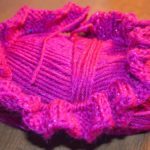 I tried to learn how to knit a few years ago and I was just horrible! I so wish i had the patience to really master it! I don't knit but love other crafty things. It is a great way for me to relive stress and relax! 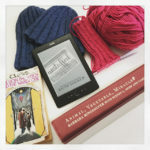 I love to knit and read, can't wait to see your finished cowl. 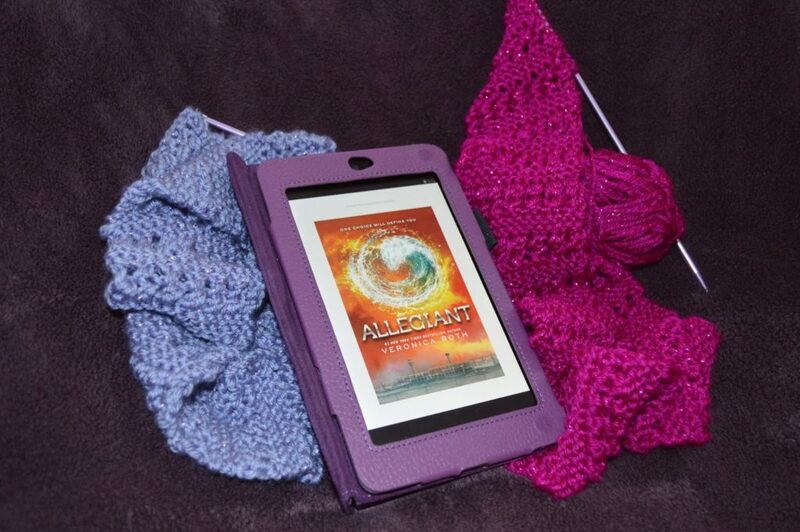 Knitting is the only time I consider audio books so I can do both at the same time. I would love to learn how to knit! And I would love to have some time to read a good book! I don't get that luxury anymore after having 2 kids. Lol! I wanna be a knitter but I can't find the time. I think I wouldn't be good at it as I am an impatient person. Yes. That yarn is gorgeous. Can't wait to see the finished project. That yarn is super pretty! it is going to make a great cowl. I have been reading more lately and really been enjoying it. Good for you in slowing down and being mindful of that goal. 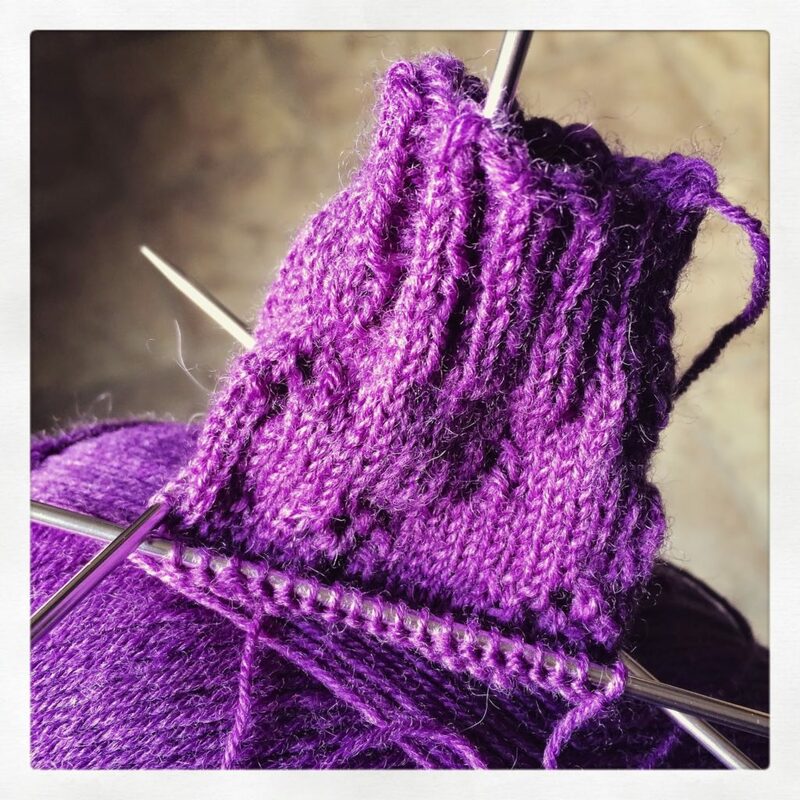 Your knitting is fabulous – I need to get back into it soon! I miss it! That's beautiful yarn! I bet everybody will want a pretty honey cowl! I started looking at seed catalogs too in this warm February weather! It's never too soon. I'm also intrigued by "Affluenza"; never heard of it, will have to check it out! I can 100% relate to knitting items for myself. It most definitely will end up being shared, or taken over, by one of the kids. 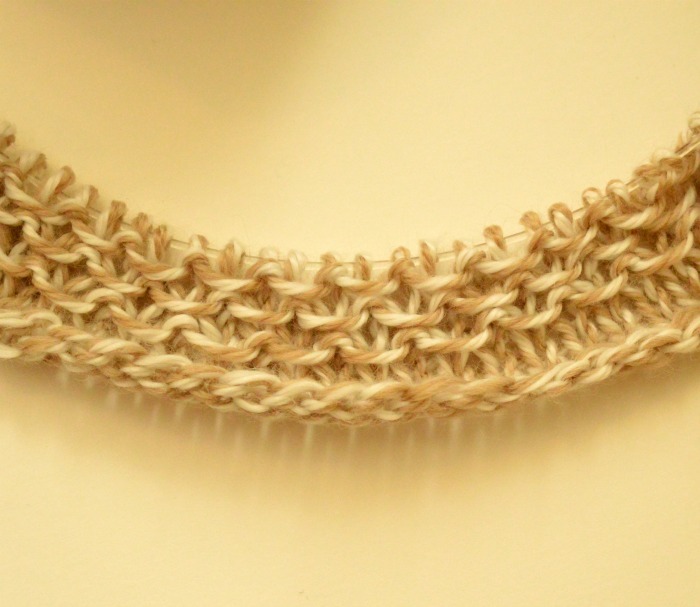 The honey cowl looks like the perfect choice for your yarn. Does looking through seed catalogs not count as reading? Happens to be one of my favorite things to do to make it through those cold January and February days. Oh, love this stitch! 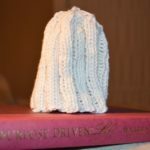 So easy to knit and such a striking result! 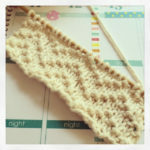 I used it for the cardigan border and it is such a great alternative to classic ribbing. I have never used this stitch before, but I already like how easy it is. And I seem to move a little bit faster through the rounds – which is always a good thing for me! I haven’t made much progress on my knitting this past week. My excuse is that the sun came out last week and lasted through the weekend, which made everyone rush outside, including me! I have made it through the pattern once, and I really like how it is turning out. 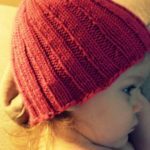 I love the little eyelet pattern that is coming through, and I know that it will be adorable on my little girl. The size of the stitches isn’t really a problem anymore, thankfully! All of my lovely readers who said the first several rows are the hardest, were correct! My reading has slowed down quite a bit. I have several books going right now, which is never a good thing! I am reading Harry Potter and Emma to the kids, and Pride and Prejudice to Lucy before her naps. I did just finish The 5 Love Languages – which I thought was quite interesting. I have heard a lot of people recommend that book, and I thought there were some great points. I am looking forward to picking up the author’s other book, The 5 Love Languages of Children. I also just read a large portion of the new devotional Savor by Shauna Niequist. I love it! I think the stories that she shares are so fun! It also reminded me that I still have not picked up Bread & Wine to read through – even though it has been sitting on my shelf for over a year now. 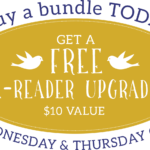 I am also looking forward to going through all of the wonderful e-books for the Ultimate Homemaking Bundle! There look to be some great ones this year! Have you checked it out yet? You can find a list of all the e-books included here. I know that I follow several of you on Instagram, but I would love to follow all of you! If you are on instagram, please leave your handle in a comment below or follow me so I can follow you back! What are you working on this week? Are you out in your gardens yet? 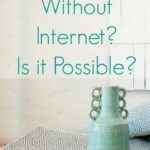 I have included affiliate links in this post. If you purchase something through my links I will get a percentage of the sale at no added cost to you. Thank you so much for supporting my family! you and I were in the sun outside together 🙂 and we are both knitting with purple yarn! lovely knitting and wasn't the last weekend wonderful?? Followed you on instagram! I'm sarahdempsen if you want to follow me too! 🙂 I love the purple of your socks, it's so cheerful and bright! 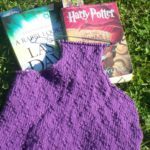 I have been taking my knitting to our chairs on the patio sometimes – knitting with a deadline makes it enough of a priority that I work on it during the day! But outside I can most often be found with my hands buried in the dirt so that's not as conducive for knitting, is it? Thanks for the hint on Savor – Bread and Wine is one of my favourite books – I DEVOURED it (which is kind of funny given the food theme, lol). I will have to look for Savor. I also got her Bittersweet and Cold Tangerines. She is the kind of author who makes me feel as if I have made a wonderful friend! The socks you are knitting look like a fun project. I love the color and the pattern. I just started knitting a fun shawl pattern. I'm headed outside now to check on the garden. Have a great day! It's a gorgeous purple! I am flyingjen on Instagram! Yes it's the time of year for slowing down on the knitting isn't it that warm weather just makes you want to be outside. I love the colour of your yarn and the pattern looks intriguing……. The color is stunning! I love how the pattern pops. Beautiful colour yarn and looks to be a gorgeous pattern coming through. That purple is so saturated and lovely! Socks are so fiddly at first, but then you can really fly. The Love Languages of Teens was a helpful read for me recently. I'll have to check out the Savor book. Thanks for the recommendation! Excellent weather is the perfect and most acceptible reason to put down the pointy stitcks – after this winter, even just a little sun was enough to make me bolt outside with the dogs. Good luck finishing this second sock (or is it a sleeve?). Seems that a sunny weekend was enjoyed by just about everyone! I think there a many of us who aren't knitting as much so we can be outside. I spent most of yesterday working in the garden, I'm sore, but my garden in looking great! Yes, I am still knitting the scarves! Actually, that pink scarf is almost done, and I just need to weave in the ends of the purple scarf. I’m really just knitting a few rows here and there. The kids have taken a bit longer to get back into homeschooling than I expected, so we have been spending a lot more time reading on the couch then doing a lot of individual work. I think it is because they have been sick and sleepy and crabby, so stories on the couch with Mama are always preferred over math and writing! This week I finished reading A Year of Biblical Womanhood. It was interesting, to say the least. I’m not sure I could do what she did, but at the same time I think some of her ideas were more extreme than others. I guess you need that crazy aspect for some of these “one year” experiment books. I did enjoy it, and it definitely made me question some of my own beliefs, as well as firming up others. While I can definitely say that I don’t agree with a lot of what she says, I still found the book highly enjoyable. I started Allegiant last night, the last book in the Divergent series. I have to say that I am definitely enjoying it. My kindle app is telling me I am about 37% of the way into it, so reading it has been easy. I definitely am enjoying this entire series. I think there are some places that the writing could be stronger, but overall the story is addictive. I’m slightly concerned about how it will end, because I have heard mixed reviews on the ending. I like my books to wrap up nicely at the end, so we will see how this one goes. I am excited that the series is being turned into a movie series. I always like to see how a book is interpreted on the screen, and how it differs from what I picture in my head. What are you working on this week? Have you read the Divergent series? Are you looking forward to the first movie coming out this year? Love the colors of those scarves, lucky girls! I hadn't heard of the Divergent series until recently when I heard about the movie! I would like to read the books, though. I did read the Hunger Games books and really liked those. Nice scarfs. Enjoy your knitting. I am listening to Divergent and hoping to be finished by the time the movie comes out. Hope the kiddies are feeling better. That's the wonderful thing about home school. You can have a sick day whenever it's needed! Pretty colors. Pink and lavender are always so up-lifting. sounds like a great book to me! we have been thinking a lot more about "prepping" in the non-zombie apocalypse kind of way 🙂 would love to have the title, maybe that should be my next non-fiction! I have not read those books. I'm reading two books right now – one is fiction (an old mystery written in the 30s) and one is nonfiction (don't laugh – but it's a book about building the perfect bug out bag – I always like learning survival tips and it has a lot of them). Scarf knitting is always fun and I must agree with you babies, anything is better than math! As you can see, I haven’t made much progress on my current knitting project. However, I have to say that we have had some marvelous weather for being outside and playing, and walking, and gardening. But now, with the next several days slated as rain, rain, and more rain, I expect to have some time to sit down and work on this tank top. 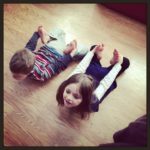 That is if my kids want to sit quietly and play with each other…hmmm. The book I am reading is Firefly Island. I started reading it several weeks ago, really only the first few pages, but promptly was interrupted by the delivery of new books in the mail – I have a short attention span. After the novelty of the new books wore off, I picked this one back up, and I was hooked right from the beginning. Girl meets boy in insane chance encounter, they have a whirlwind romance of a couple weeks when he finds out he has gotten a job offer. The only catch is the job is not in DC where they both live now, instead it is in Texas. Girl and boy (and boy’s son) decide to go off to Texas together. The only problem girl is having now is that boy’s new boss might be a serial killer. Now, if I could just read more than a chapter without being interrupted, that would be lovely! I will get through this book soon though, I’m sure. It is a page turner! What are you working on this week? Any new book recommendations? the tank top is done! Your book sounds gripping. 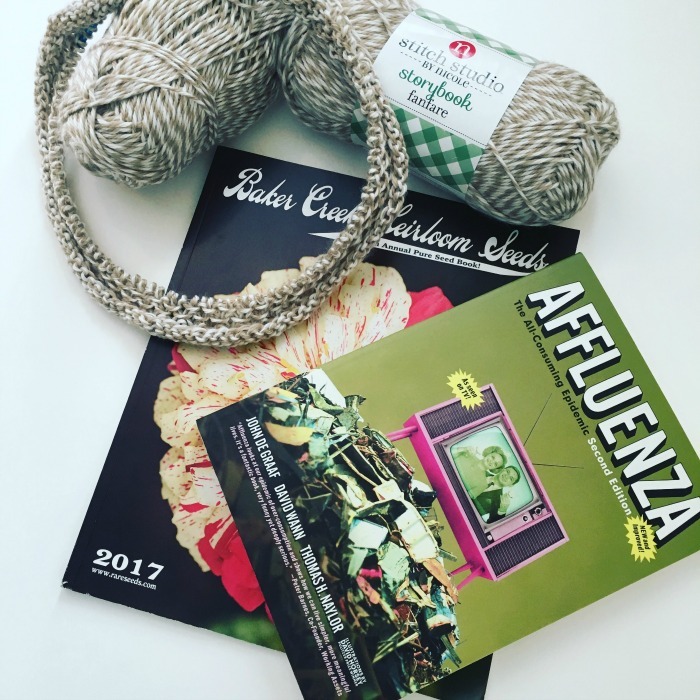 I too am feeling the pull of being outside, except I take my knitting with me! oo your tank looks interesting 🙂 Definitely better to be outside enjoying nice weather than knitting. The cold and rain always comes back! Ooh that sounds like a good book…adding it to my 'to read' list. I've just finished reading 'The Paris Wife' about Ernest Hemingway's first wife. Am loving my latest read, but then I am south african so I relate to this story very much – but if you are interested the title is "The Housemaid's Daughter" by Barbara Mutch. I will be making a book review soon as I am just about done. my knitting has slowed down because one kid is now home. I'm okay with that!